Spain is a country with a well known Catholic tradition. The carnival is, therefore, celebrated before the 40 days of Lent as a way to let loose before the prohibitions of the upcoming religious holidays. 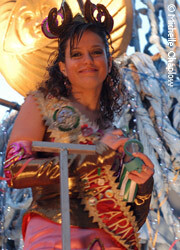 Most Andalucian towns stage a parade, and a dance and a "Carnival Queen" and other singing contests. The Carnival traditionally centres around Shrove Tuesday, which is exactly 47 days before Easter Sunday. Most towns celebrate the carnival with processions either the weekend before or after shrove Tuesday. Cities and larger towns have festivities lasting all week and over two weekends. Some villages celibrate the carnival at the weekend two or even three weekend later. The most important is the Cadiz Carnival which last about ten days. Cadiz Carnival dates and info. The carnival is a "fiesta of the people". 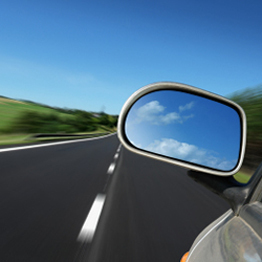 It is a reaction against abstentions and prohibitions of all types. Just submerging yourself in the carnival celebrations is enough to make you feel the dramatic break with social order that carnival goers achieve. It is also an opportunity to let go of all inhibitions and to help out in this department, everyone is encouraged to wear masks and fancy dress. Hardly surprisingly, during the Spanish Civil War, General Franco abolished the Carnival in rebel areas. And after the war, of course, there was still much opposition to the Carnival, so Franco abolished it once again from 1937.However, in true Spanish style, the celebrations continued in Cadiz and some other towns namely; Ayamonte, Isla Cristina, Fuentes de Andalucia, Trabujena, Benamahoma. In the province of Cadiz; Cadiz city and the towns of Rota, San Fernando, Chiclana, Algeciras, Medina-Sidonia and Trebujena all have lavish carnivals. Isla Cristina and Ayamonte, are also famous for their elaborate costumes and excitement, drawing visitors from throughout the region and Portugual as well. The town of Pedrera in Seville province is known for its carnival with the entire village dressing up on Ash Wednesday for the traditional "burial of the sardine". Other Seville province towns known for their carnival celebrations are: Alcalá de Guadaíra, Carmona, Coria del Rio, Dos Hermanas, Fuentes de Andalucía and Gines. Check with their town hall culture departments for information on the upcoming festivities. 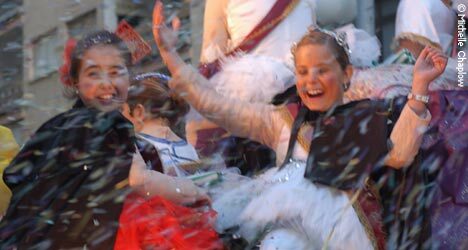 For more detailed information on what to see read our detailed Cadiz Carnival guide. 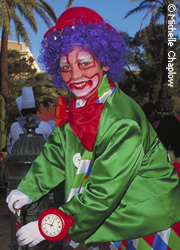 Read our outline about carnivals in the cities of Andalucia.